Is It Wise for You to Buy Cheap Human Hair Bundles? Sometimes it is very expensive to buy bundles and extensions from your local salon store, even over $500 for only one piece. So a lot of people are looking for cheap human hair bundles on the internet, while many hair vendors mark their products as cheap human virgin hair. It is very disappointed to find the hair looking like a wig but showing a plastic appearance when choosing the cheapest hair bundles online, and the hair start to break after being installed for a while. Some hair stores online do offer top quality hair extensions and bundles at affordable price. The problem is it's very difficult to find such hair dealer online, even you consider the first page results when searching for cheap hair bundles. To help you make a more wise decision, we collected some pros and cons of purchasing hair bundles online, here are some important factors you need to consider when looking for cheap hair extensions online. Most cheap hair extensions are made of poor quality hair that were collected from the floor. After being collected, the hair will be treated with harsh chemicals, then the hair will have a more natural look, in other words, to add some shine to the hair. However, after washing the hair a few times, the hair will lose its shine and natural look. Even you treat those types of hair with expensive products, they will not restore their shine and natural look. While searching for a hair supplier that could offer you cheap hair extensions at affordable rates, you should take some factors into consideration that will help you decide which hair supplier is better. Once you find a supplier, take a look at reviews people have left, if you are going to shop on their official website, do not only consider the reviews on their site, search additional reviews about them on the internet. Check if the hair company you are going to buy from offers guarantee on their products, it will be good if they offer a complete return and refund policy. Purchasing cheap hair extensions online offer leads to disappointment, however, if you are buying from a reliable hair company, you will get high quality hair products. For example, New Star Hair is a great hair company offers top quality virgin hair bundles and closures, the hair products provided by them are not only in high quality, but also sold at a very low rate. 100% customer satisfaction is the only objective they are in pursuit. This entry was posted in How to Buy on October 25, 2017 by leonzhang. I wrote this article to help those who want to purchase human virgin hair weaves online at the most affordable price. Usually I do not suggest wearing weaves on top of your damaged hair. Many girls are too busy, they are not willing to braid their hair and cut out the perm. They put a wig on their thick locks, this will destroy the patches of hair permanently. Buy good quality virgin hair weave. The cheaper the weaves are, the worse they will treat your hair. If the weaves are blending with your natural hair, be aware of harsh tracks. Your hair needs a break. Sometimes we splurge on weaves that are supposed to last three to six months, because we budgeted for such. But your hair tells you that it needs a break for the safety of the hair your cherish underneath. Treat weaves well always, they put the most stress on your edges. 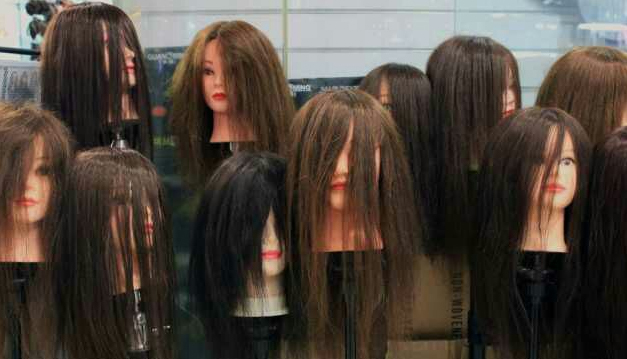 And wigs could be the toughest section of your hair to get back in good condition. It is not a shame to rock cool weaving style on your own hair. Make your firm decision on weaves, it is not your fault if your natural hair is not good and you want to pursue beauty. This entry was posted in How to Buy on October 20, 2017 by leonzhang. Too many hair extensions types online and it becomes more and more difficult for you to make a right decision, however, using the following four tips will let things simple. First, hair color. You will absolutely feel disappointed when receiving the hair that has a different color from that of you ordered. Before placing payment, ask the seller to give you a color chart, so you can make a right color choice. The color that looks good on computer screen does not mean it will be the one you will receive. You can ask for a hair sample from the dealer to make sure the color is what you expect. You can also dye the extensions if you can not find the exact color you need. But please keep in mind, you need to choose a lighter color of extensions, so that you can dye them to a darker color easily, by the way, dying and bleaching both cause damage to hair. Second, hair quality. This is an important factor to consider because hair quality can differ greatly. High quality hair extensions can last over one year but poor quality ones only last for no more than one week. You must ensure you are buying remy hair. This type of hair has all cuticles facing the same direction. 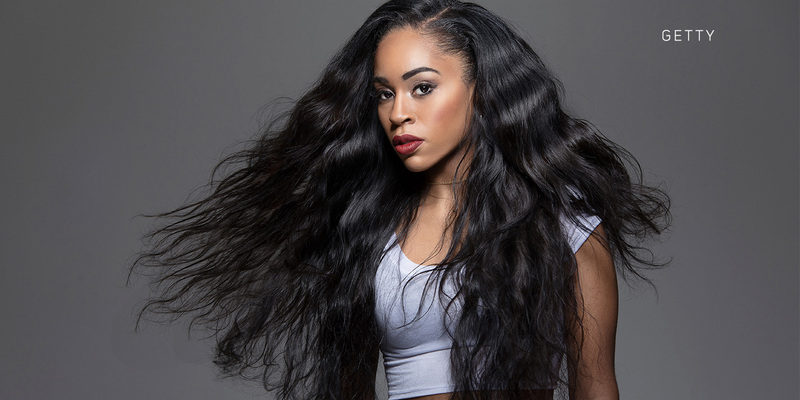 Remy hair is lee likely to tangle and non-remy hair will become tangled and matted easily, and you will need to remove them after a short-term use. Third, use. The type of extensions you are going to order depends largely depends on the lifestyle you are living. If you want hair extensions for a wedding or a night out part, then clip in hair extensions will be the the best for you. They can be applied within several minutes and are much cheaper than those weaves or wigs. If you have damaged hair that could easily break, clip in extensions are suggested because they are less likely to cause damage. Fourth, quantity. Sometimes you hear a hair dresser in a salon said you need 200 extensions for your hair. How many extensions you need? That depends on the weight of each extension. If you have short hair, you will need more extensions to add extra length. You can send your picture to the hair website dealer, so they can give you advice on how many extensions you will need. A lot of hair extensions there, it is important for you to make a research on what you are going to buy before making that purchase. A lot retailers online do not accept return and refund if the products have been used. However, it is enough for you to consider these four guidelines above when searching for good quality hair extensions. A stunning full head of hair will be achieved easily. 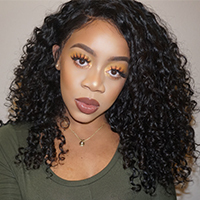 New Star, which is a professional wholesale virgin hair company, has several years of experience in providing African American women with top quality virgin hair products. It is eactly the right place for you to get right hair extensions to achieve beautiful full beautiful hair style. This entry was posted in How to Buy on July 28, 2017 by leonzhang. Nowadays, with the increasing demand in hair industry, there are a lot of hair companies online selling various types of hair weaves. Sometimes it is a little confusing for women to look for the best extensions for hairstyle. To make sure you find the one that works perfectly, please follow our guide on this blog, I am sure you will find the right hair weave on New Star Hair. Black women have a lot hair textures, and there are different textures selling online from straight, wavy to curly. See the photo above, there are almost ten different textures on our site, there will always be one that suits the texture of any black woman. Various materials used to make hair weaves. 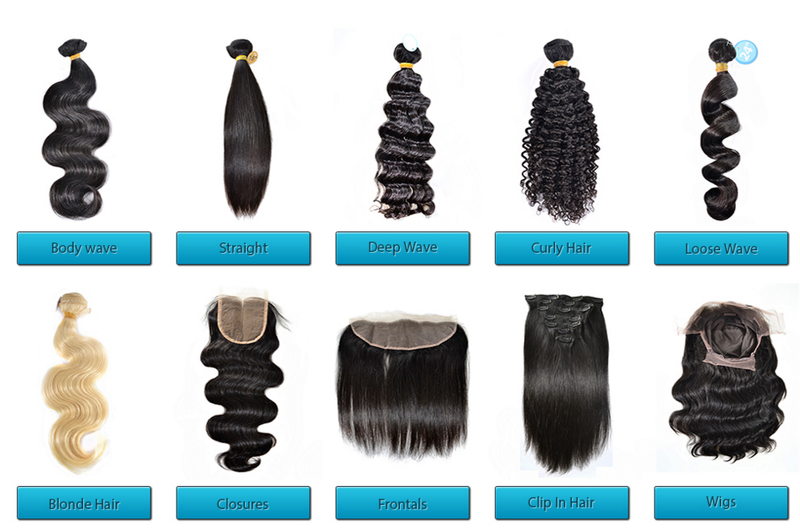 There are basically virgin hair, synthetic hair and mixture hair. Among these three hair types, synthetic hair is the cheapest one, but it does not last long. Virgin hair is the best choice for their long lasting and great versatility. New Star is exactly the right place to pick top virgin hair. Hair texture and material are two main factors to consider when purchasing hair extensions. Other things like style, length also need to be thought about. Besides, what occasion you will wear the hair weaves for? Weaves in different hair textures have different characteristic, you should choose according to the texture of your own natural hair. This entry was posted in How to Buy on April 25, 2017 by leonzhang. It is one of the most difficult things to pick a hair texture for a woman who are going to purchase hair extensions the first time. How do you know which hair extension will work best for your natural hair? There are basically three things you should keep in mind when purchasing hair extensions, hair texture, hair length and hair color. It is the first thing you must consider. Is your hair straight, wavy or curly? You must choose hair extensions according to your own hair texture, curly hair extensions may not blend with you if you have straight or wavy hair already. We, New Star Hair, have a wide range of hair textures for women to choose, like the photo display above, these hair textures are generally divided into straight, wavy and curly types. 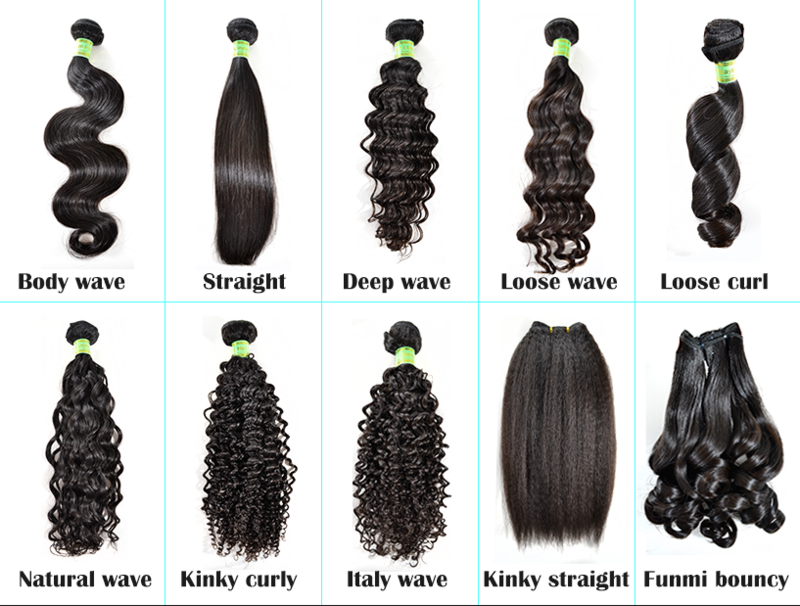 Among all of them, straight and body wave are our best sellers. Hair extensions online shops have various colors. There are #1B, 613, light brown, dark brown, ombre, etc., you are recommended to pick the hair color that is as closely as yours. Usually most women choose natural black hair color, unless you have colored your hair a bright color, then you can choose hair extensions in light brown that will be easy for you to dye. If it is in summer and you want a short bob hair, then short hair will be fine with you. But in most cases, every woman wants their hair to be long, that's one of the reasons they purchase hair extensions. When buying hair extensions, the style and texture are not limited, you can get virgin hair extensions into any hair style as desire. This entry was posted in How to Buy on April 19, 2017 by leonzhang.